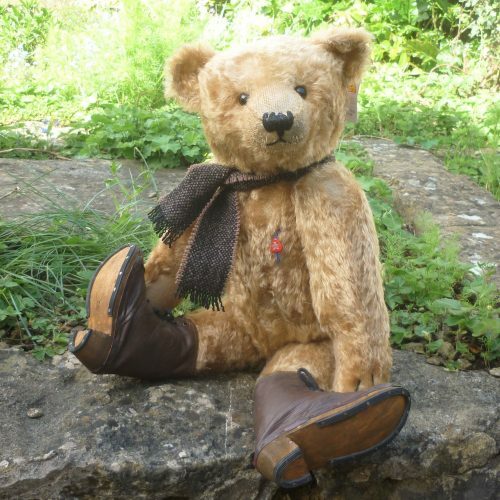 Designed by Ren Bears, Teddy Peter is made of soft golden brown mohair with deliberate ‘worn-away’ patches. He has black safety eyes, black stitching and brown felt hand paws. 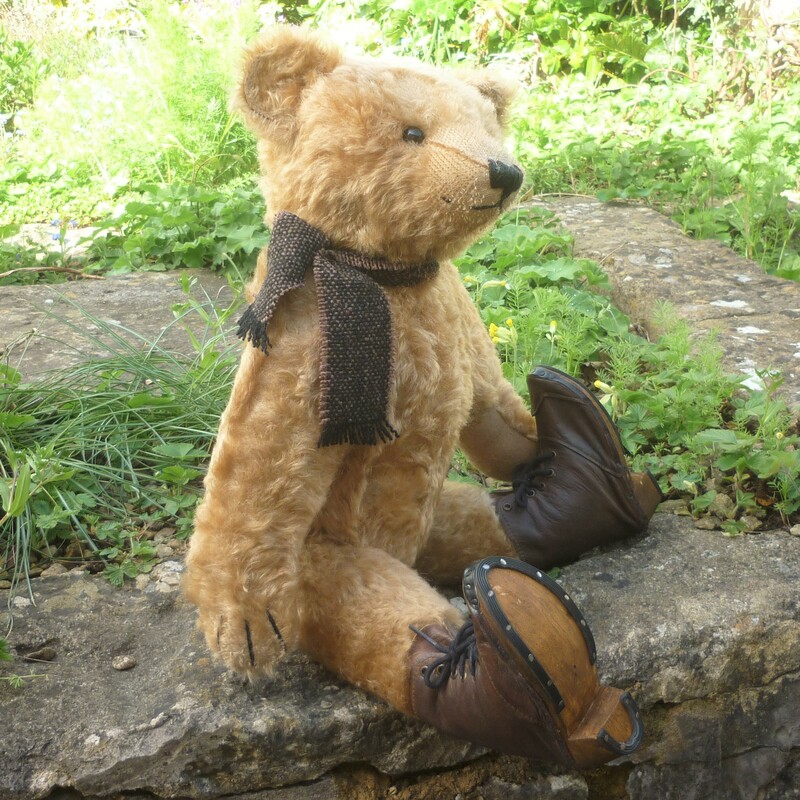 On his feet he wears a pair of faux leather, lace-up boots with wooden soles, which are removable. 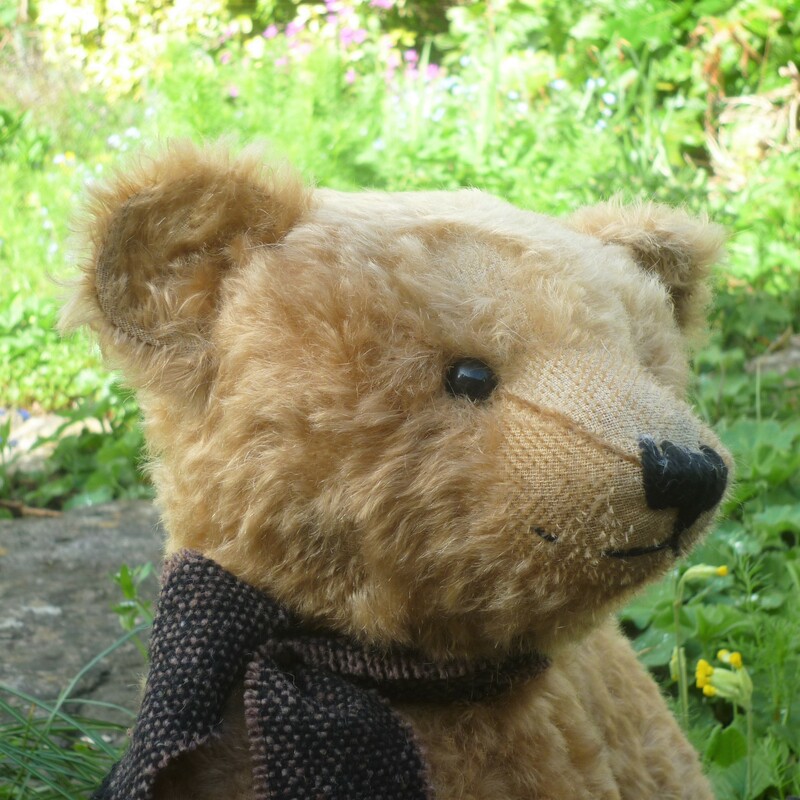 Peter wears a brown and black patterned scarf and is filled with polyfibre and plastic pellets. 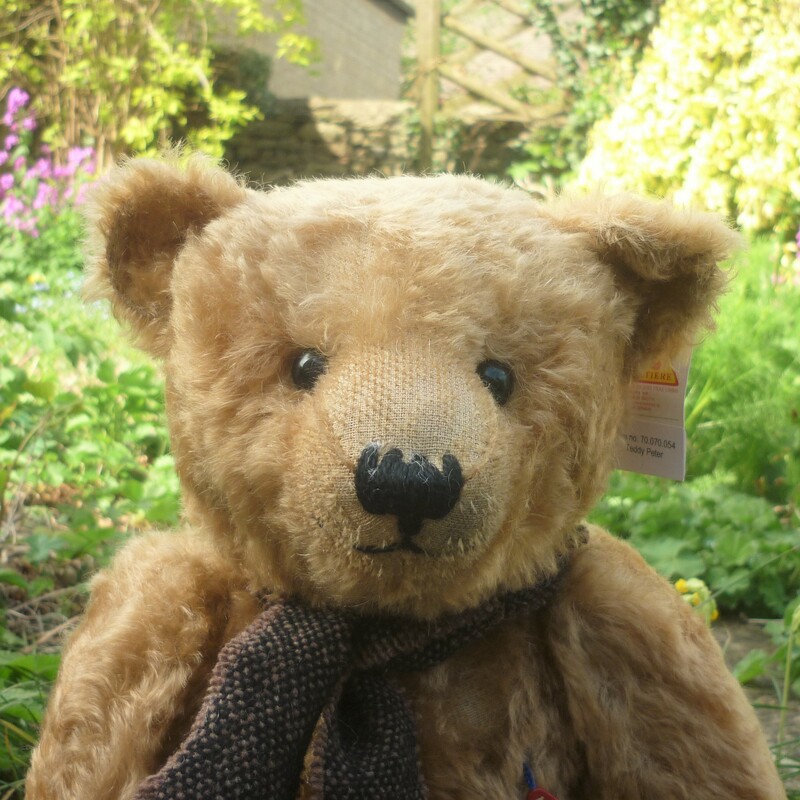 Fully jointed.